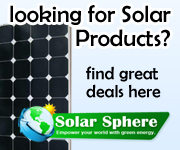 Solar Hot Water Panels are also known as solar collectors. A solar collector converts Sun light into heat using the “greenhouse effect”. Sun light is going through a transparent material (glass) and absorbed into an absorbing material. The absorbing material heats up and radiate back in the Infrared Wavelengths. The glass is opaque to the infrared radiation and the heat is “trapped” between the transparent material layer and the absorbing material layer. Liquid is running in thin pipes between the layer and heats up. The liquid can be water (a direct system) or glycol (indirect system).